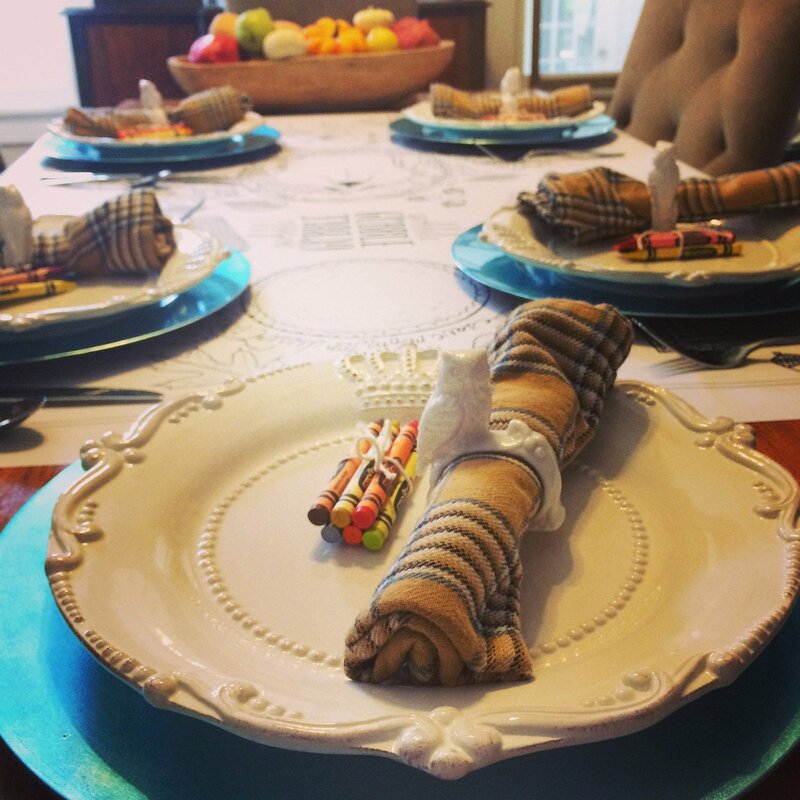 Thanksgiving is my holiday. I claimed it from my mother after several years in a row of major food-related disasters on the Big Day. 2009 featured a mostly-raw fried turkey, 2010 featured a fully cooked catered turkey, complete with insides stuffed with the neck, giblets, and plastic packet of gravy the caterer had failed to remove, and finally 2011, also catered and also featuring a turkey-related mishap. By 2012 my mother was relieved to have someone take on the challenge of turkey day- and I was happy to have a holiday of my own to host at Hawk Hill. 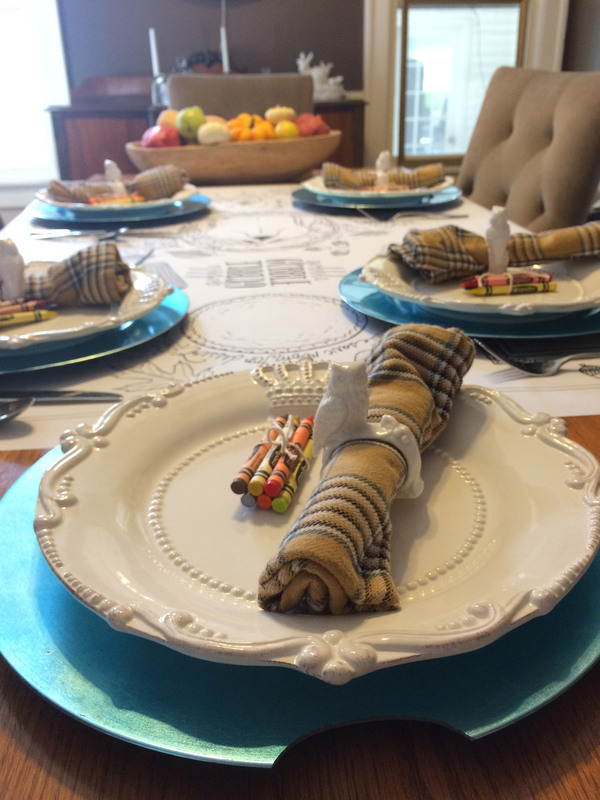 This year my friend Emily of Emily Ann Photography had Caravan’s Draw Together Thanksgiving Set printed by our local large format printer and helped me get my hands on a copy of the large table covering to use as a tablecloth on my long and narrow ex-library table dining room table. 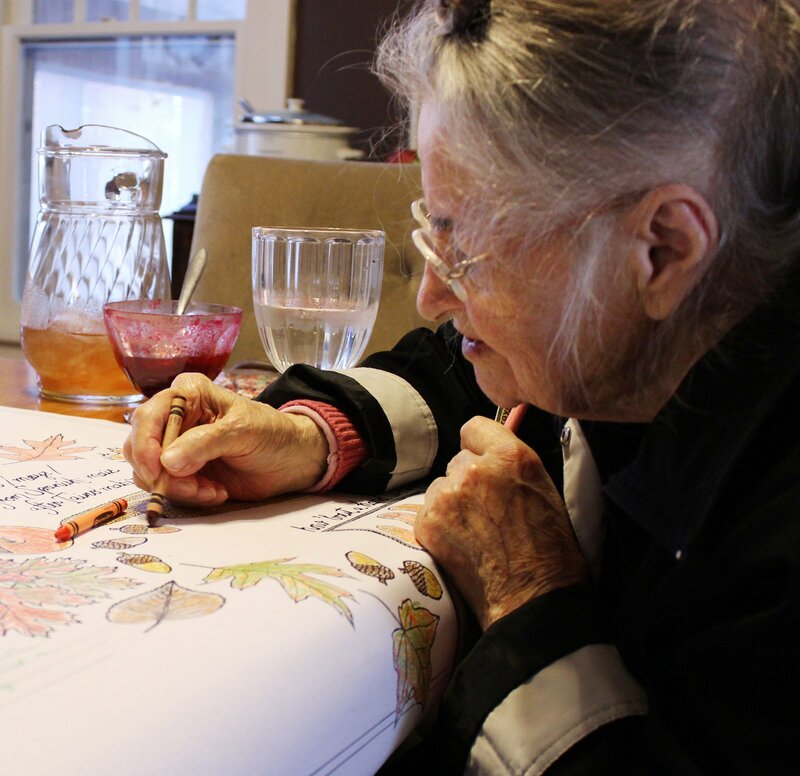 Even though I, at 32, was the youngest at my Thanksgiving Table this year- everyone enjoyed this coloring-book style paper tablecloth- and my 94 year old grandmother was the first to start coloring- and even made her own hand-turkey! 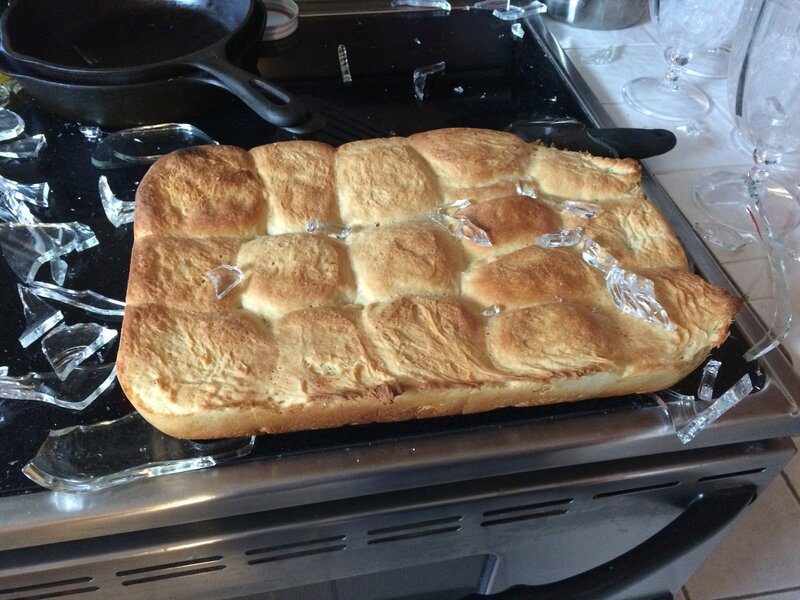 This year’s Thanksgiving was not without its own disaster- as moments before all the food hit the table I pulled my (already fallen) dinner rolls out of the oven, set them on the stovetop, and the Pyrex bake pan exploded in my hands. Thankfully there were many hands to make cleanup quick and once the rolls hit the trash we were back on track- with only a slightly overcooked ham to show for the delay. 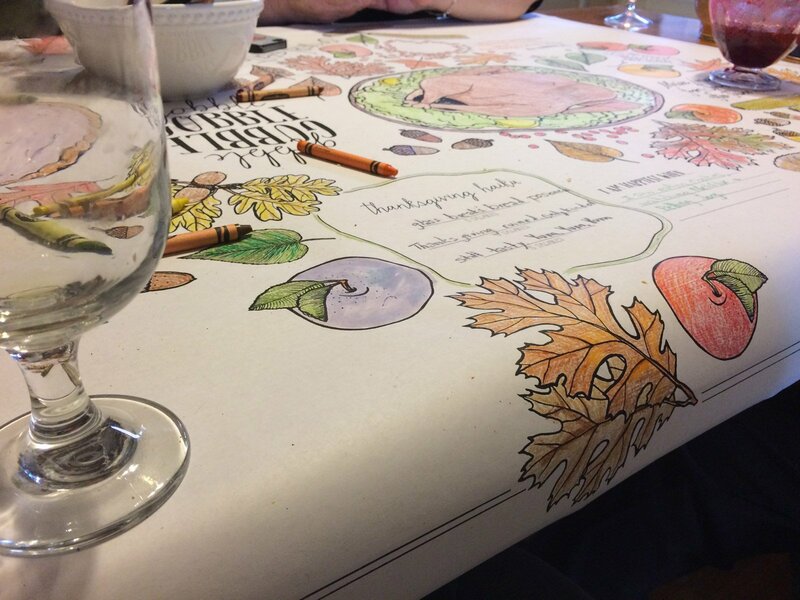 After the table was cleared, coloring provided a fun break before dessert, and, rather to my surprise, the entire tablecloth got colored! 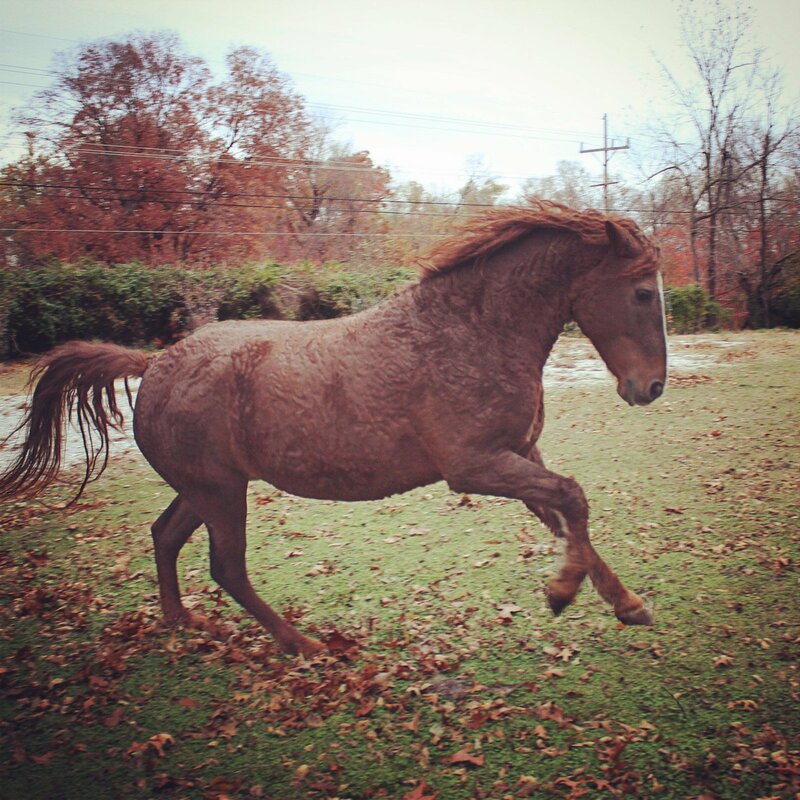 Here’s my silly family’s thankfulness list: Black Dogs, Grand-babies, Friends and Family, Rabbits, Crocodiles, Amazon Prime. 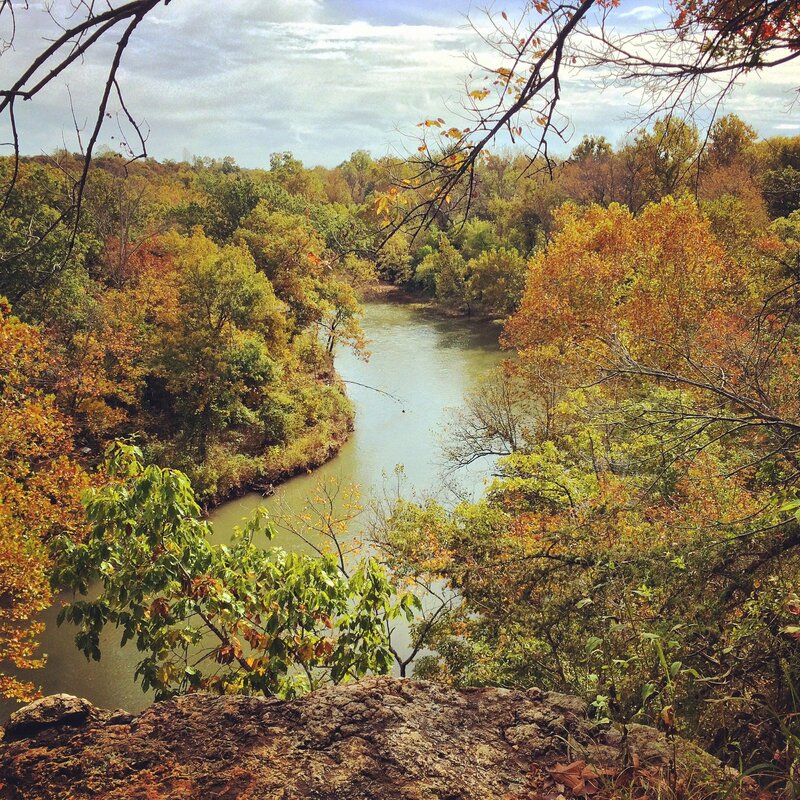 The view from Wildcat Bluffs in Joplin, MO is one of my favorite places during the height of fall colors. 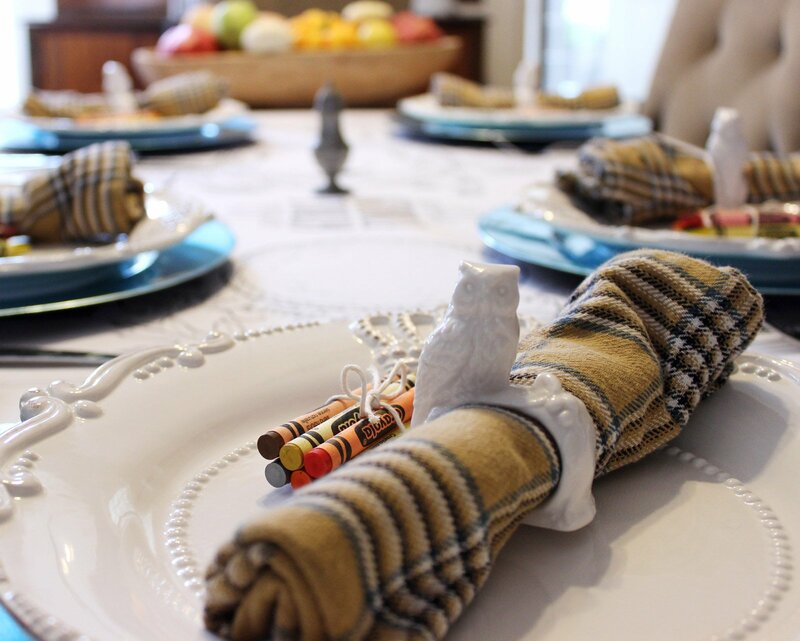 wondering where to get the paper table cloth? I don’t know if you can purchase a printed version anywhere- but you can buy the pdf at http://caravanshoppe.com/collections/holidays/products/draw-together-thanksgiving-set and have it printed locally!